I don’t like cornflakes and I don’t prefer to eat plain bread for breakfast. I prefer dosa/idly and other traditional breakfast food. But in lazy weekend mornings I can’t spend time in making dosa batter and idly batter and don’t have much time for its fermentation also. I got this recipe from net which is very easy to prepare. soak bread slices with little water for 5 min. Grind rava, curd, green chilly and ginger into fine paste. Then add Soaked bread and grind it again. No need to add more water. then keep aside for 10min. Prepare thick dosa from this batter fry both sides. Serve with any Chutney . 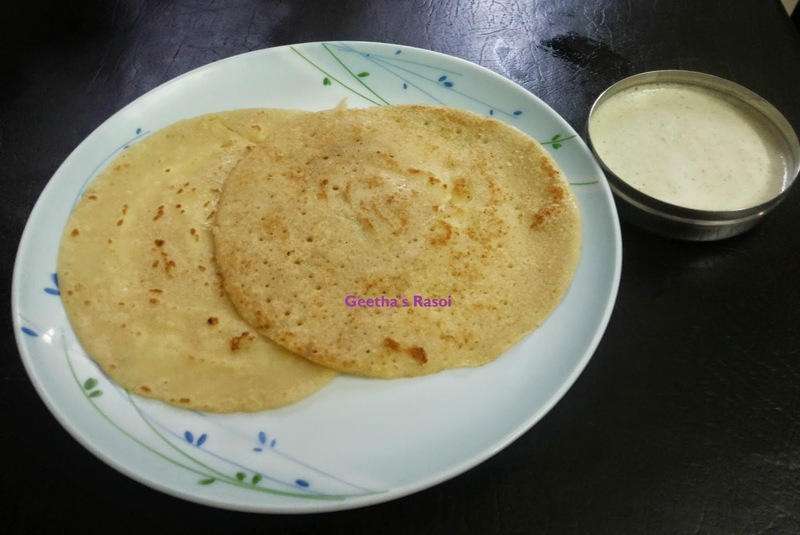 Tasty easy dosa ready to serve.